Finding your favorite deli is a life-changing experience. There’s nothing better than having a reliable stream of cold cuts and pastrami sandwiches in your life. There are plenty of delicious local spots in Arizona to add to your list. Here are the 10 best delis in the state! As far as Italian delis go, DeFalco’s is as authentic as they come. This deli and grocery store has been owned and operated by the DeFalco family since 1972. Immigrants of Italy, the DeFalco’s bring their authentic Italian ingredients and flavors to Arizona. You can enjoy their array of meats, homemade sauces, and wine available in the deli. You can also enjoy their renowned hot and cold sandwiches including the Italian beef, meatball sub, and Reuben. New Yorkers will feel right at home at Chompie’s. This neighborhood deli has been serving up their classic New York City deli items to Arizonans since 1979. Chompie’s is famous for their huge portions, authentic family recipes, and Jewish style menu. You’ll find everything from 22 flavors of bagels to homemade knish and deep-fried matzo balls on the menu. Of course, no deli is complete without a Reuben. Chompie’s classic grandpa Ruby’s is generously sized and one of the best in town. Looking for a home cooked Italian meal? Look no further than Roma Imports. This deli has freshly-made Italian classics readily available. You can grab baked ziti, lasagnas, and chicken Alfredo on the go. This deli also sells some tasty Italian sandwiches including the spicy sausage meatball, classic caprese, and the prosciutto caprese. Roma also has a healthy selection of imported Italian meats and cheeses available for you to take home. Time Market is a grocery, bakery, deli, and restaurant. This upscale spot attracts hungry customers with their blend of organic and delicious foods. Their grocery includes everything from olive oils to spices from around the world. You can also get Italian favorites like a caprese sandwich, grinder, or Reuben while dining in. Time’s artisan breads are the real treat. They’re made with only organic flour, water, and salt ensuring rich and fresh flavors. Meat lovers, meet Goldman’s Deli. Goldman’s is a Jewish deli and restaurant that specializes in deli meats. You can get a variety of sandwiches with fresh salami, turkey, pastrami, corned beef, and brisket for lunch. Goldman’s also has some of the best homemade bread around. You can get your sandwiches on 11 types of bread including marble rye, pumpernickel, Kaiser roll, and sourdough. Romanelli’s is a deli that sells fine imported and domestic Italian foods. Family-owned and operated for over 40 years, Romanelli’s is one of Phoenix’s oldest and most popular delis. You can find Italian favorites like mozzarella, salami, and capicolla at their deli. Their meats are served on fresh rolls, in party trays, and even on a six-foot sub. While they have sold many Italian sandwiches, the essential menu item is the Italian Stallion. It’s a combination of ham, capicolla, salami, pepperoni and provolone cheese. Carlo & Emilie’s is like a hole-in-the-wall deli from New York City. When you walk in their friendly staff greets you. You can choose from an array of meats and cheeses from their deli cases. You can also grab a really good sandwich on the go. Carlo & Emilie’s has a large selection of hot and cold Italian sandwiches, pasta dishes, and homemade sauces. Favorites include the gnocchi in four-cheese sauce, the prosciutto and Parmesan sub, and the homemade pork sausages. Check out their daily specials and soup of the day for an affordable and tasty trip. Casella’s is an old-school deli in a lot of different ways. This cash only, counter-serve deli has been in the same location for 40 years. This no-frills establishment is all about the food. They also sell authentic hot and cold Italian subs, pastas, and meatballs. You can grab an Italian hoagie, meatball sub, and even a Philly cheesesteak from their counter. If you’re still craving more, you can purchase their sweet and hot sausages to take home. This family-run joint has all the ingredients of a perfect deli. Since opening in 1993, Dilly’s Deli has expanded to encompass four Valley locations and a catering service. Their success is largely thanks to their bread. Dilly’s makes homemade bread in-store each day to ensure maximum freshness. Dilly’s has relied almost exclusively on word of mouth to build their brand. 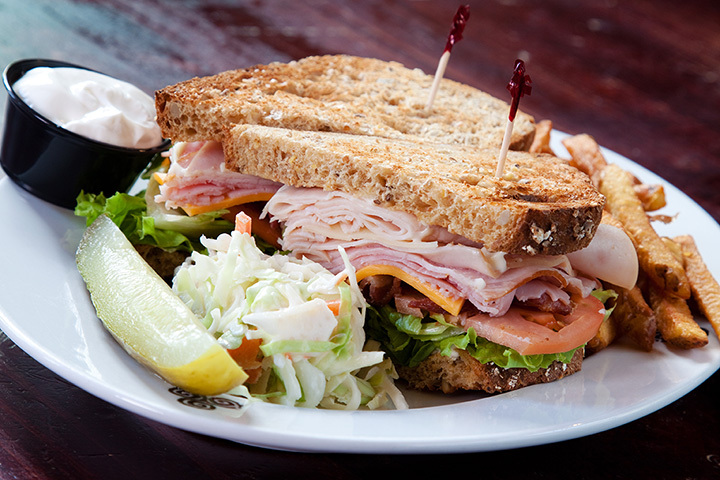 They sell many deli staples including signature sandwiches, bread bowls, soups and salads. You’ll find fresh meats, breads, and fixings at this Tempe favorite. Miracle Mile has been a Phoenix favorite for several generations. This cafeteria-style deli has been serving up delicious meats and cheeses for over 60 years. Their menu includes standard deli items like the pastrami sandwich, cheesesteak, and beef brisket sandwich. You can also grab their freshly baked rolls, cheeses, and savory meats by the pound. Miracle Mile was founded by New Yorkers and continues to carry on New York deli traditions to this day.